Justice Minister seeks to impose 'huge' fines on social media sites, such as Facebook, which refuse to remove material promoting terrorism. 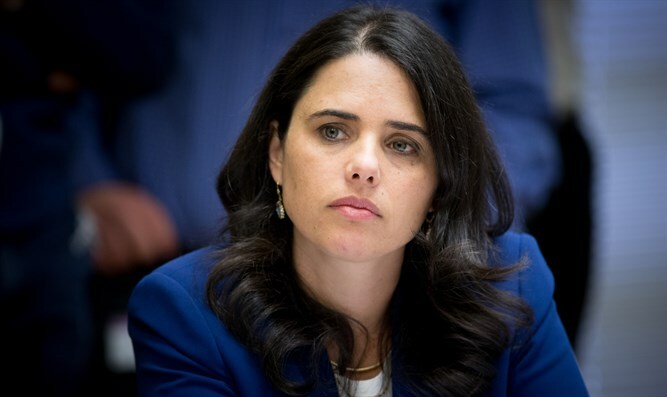 Justice Minister Ayelet Shaked (Jewish Home) is working to promote the imposition of large fines for social media sites which refuse to remove inciteful content, Army Radio reported Thursday. "If you can avoid huge fines and legal proceedings, then that is preferable to leaving the offensive content up and being slapped with fines," Shaked explained. "In the last terror wave, we felt that Israel's sovereignty was being compromised. We know how to stop terrorists at the border, but we were not able to stop the incitement on social media, the engine driving the terror machine." Shaked said that fines for social media providers seem to be a new concept in the fight against terror, but are actually a continuation of the so-called 'Facebook Law' which empowers Israeli courts to demand that social media sites immediately remove content which constitutes incitement to violence and murder. Facebook and other social media sites such as Twitter have been criticized for not responding to their use as platforms to promote hatred, incitement to murder, and terrorism.